Did you ever have one of those weird dreams–oh, of course you have. We all have. Sometimes we remember them and sometimes we don’t. I can remember my most recent weird dream, which was probably the result of a remark I made to a friend. Having been an English Major in college and then a teacher in one of my careers, I got on my soapbox and complained about our federal office holders. My view is that either they have never read the US Constitution in its entirety, if at all, or they are devoid of reading comprehension skills. Or all of the above. I awoke to incessant pounding on the front door–which happens to be mostly glass, so that was of great concern to Macho Guy, who also awoke, and to me. We put on our robes and slippers, and MG loaded his handgun. Yeah, yeah, we own guns. Several guns. Different kinds of guns. We know The Second Amendment is our friend. Whoever was at the door might not be. We tiptoed down the hallway in the dark and peeked around the corner. Three armed men dressed in black were standing on our front doorstep. One was peering through the glass panel. MG: [turning to me, in an agitated state] No. My guess is they’re from the government. What the hell did you post on Facebook this time? ME: [wide-eyed] Uh–an article I read about The Tenth Amendment. Powers reserved to The States and to The People. Something like that. MG: Are you crazy? They hate The Tenth Amendment. They hate all ten amendments in The Bill of Rights. They’re probably here to haul us off in handcuffs. We’ll never be seen again. ME: Don’t you think you’re being just a little paranoid? The pounding on the door resumed at that point, rattling the glass. ME: We’d better answer the door before they break it down. Um, you go first. MG: Right. Follow me, stout heart. MG Tucked his gun behind his back and switched on the lights. He turned the corner with me on his heels. The sinister-looking armed man in black stopped pounding on the door. MG: [puffing out his chest and shouting through the door] Do you realize what time it is? Who are you and what do you want? The Door Pounder slapped his I.D. against the glass. It looked plenty official. DP: [pointing at me] Her. My ears perked up. It had been a long time since a man other than my husband said that he wanted me. Ha! After all these years, I still had that je ne sais pas quoi. Naturally, I was pleased and flattered–until the DP opened his mouth again. 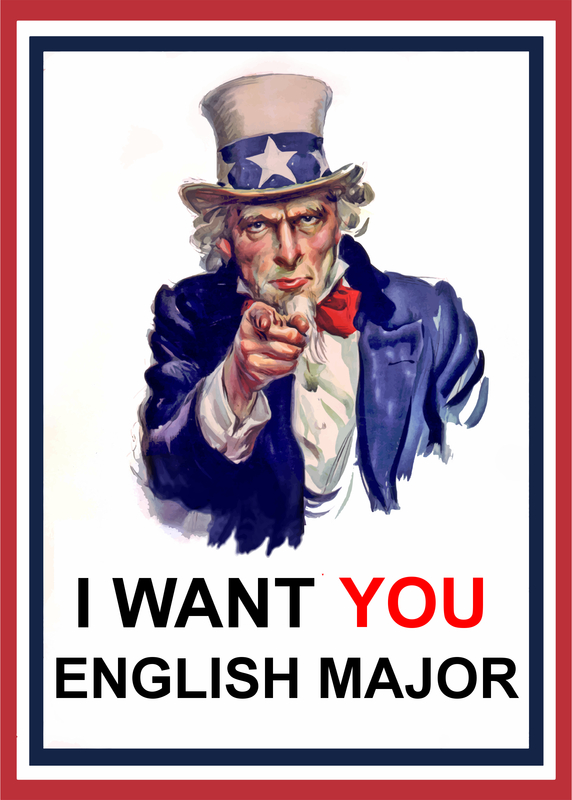 DP: Uncle Sam wants you, English Major. ME: Why does Uncle Sam want me–and how did you know I was an English Major? DP: We have our sources. Come with us, please. ME: Now? I’m still in my pajamas. Can’t I change first? DP: Not necessary. This is only a dream. ME: But it seems so real. DP: It won’t once you wake up. Let’s go, English Major. ME: What about my husband? DP: We don’t need him. He may go back to sleep now and resume dreaming about Halle Berry. The next thing I knew, I was standing on the floor of the House of Representatives in my PJs, robe and slippers. Thank heaven this wasn’t one of those naked in public dreams because I was facing a joint session of Congress, along with the justices of the Supreme Court and the president and vice-president of the United States. The DP and his two bookends were standing behind me. ME: [whispering to the DP] Why am I here? DP: They’re all afraid of losing their hold on power because their constituents want them to fulfill their oaths to preserve and defend The Constitution. They’re lawyers. They understand loopholes very well, English not so much. They need an English Major to help them improve their reading comprehension skills. You’re here to teach them to understand the language of The Constitution, literally, so they will cease violating its provisions. The justices are also here to improve their reading comprehension skills so they will no longer misinterpret The Constitution. And the president, well, it’s obvious why he’s here. ME: [unable to believe my ears] Seriously? I’ve been wanting to do this for years. I immediately turned my attention to the crowd. I was just getting started with Article I, Section 8.18. when a loud buzzing noise practically drowned me out. I pressed on, explaining that they had to continue reading beyond the words, “To make all Laws which shall be necessary and proper…” because the rest of that clause referred only to the enumerated powers in the Constitution, and not to any old laws they felt like passing that were necessary for them to make generous campaign donors happy but were highly improper. That’s as far as I got because it was then that I woke up. That loud buzzing sound was my morning alarm. I can’t tell you how disappointed I was at not being able to complete my task of improving the reading comprehension abilities of our elected representatives and other officials. They’re doing such a lousy job in Washington, D.C., that heaven only knows they need all the help they can get–even if it’s only in a dream. As usual, spot on, Jolana. If only those who think they have the intelligence of leadership would listen to reason. Or, at the very least, have a shred of common sense. We definitely agree on that, Margo.